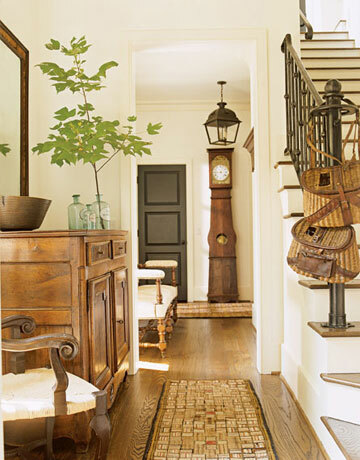 Love the rustic chic room, The colours look so inviting. 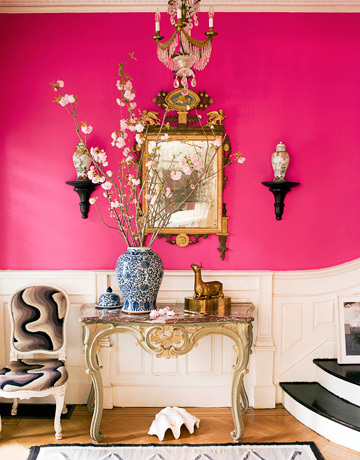 Oh, I have the hot pink foyer saved in my favorites file - Razzle Dazzle by Benjamin Moore. Isn't it fabulous with the blue & white porcelain? Huge fan of white with bold pops of color so I'm loving the pink and white dramatic entry way!